Color Valley Color Valley is an highly addictive action game playable on all mobile devices. 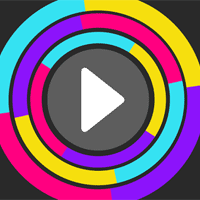 Tap to guide the ball through same-colored rings and other obstacles. How many points can you score before you crash into the wrong color.break your own records.try not to fail. have fun and good luck.